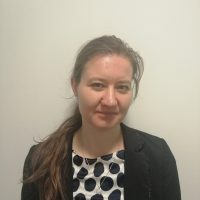 Andrea Sykorova holds a bachelor degree in International Relations from Brigham Young University in Utah (USA) and is currently studying master's programme European Public Affairs at Maastricht University. She is interested in EU's external action, migration policy and EU-Rusia relations. She is fluent in English, Slovak, Czech and has a good command of Russian.